Tips for using the M22 Locust light tank in World of Tanks. The M22 Locust is one of the few low tier vehicles available in the World of Tanks Premium shop, and can be a great option for those looking accelerate their credit earnings early on in their World of Tanks career. 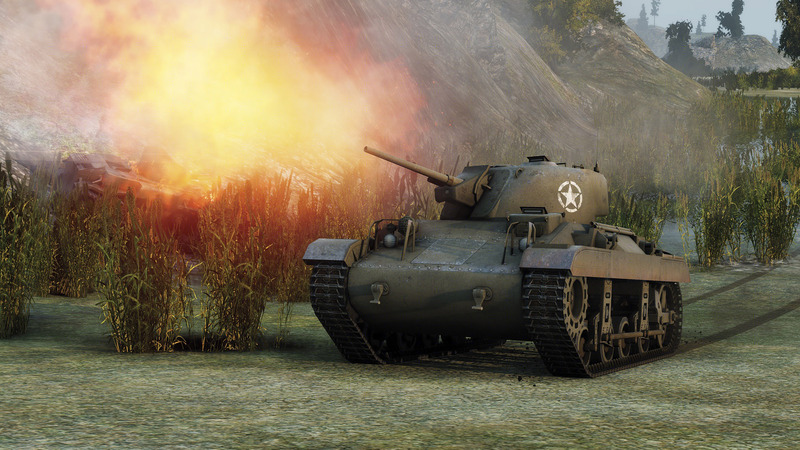 We’ve got several tips to help you improve with the M22 Locust so you can benefit from what this low tier Premium has to offer. 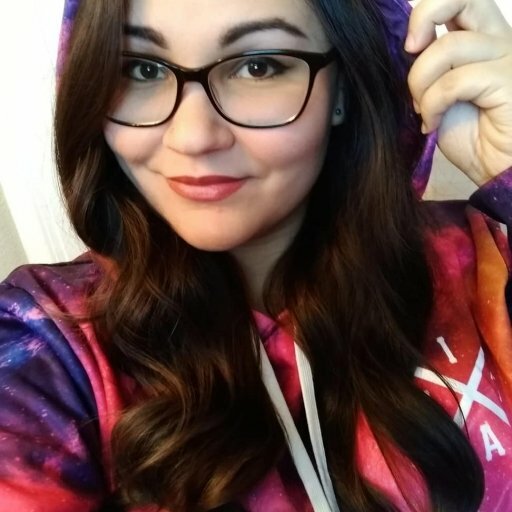 We will cover the general play style of this tank, as well as its pros and cons. 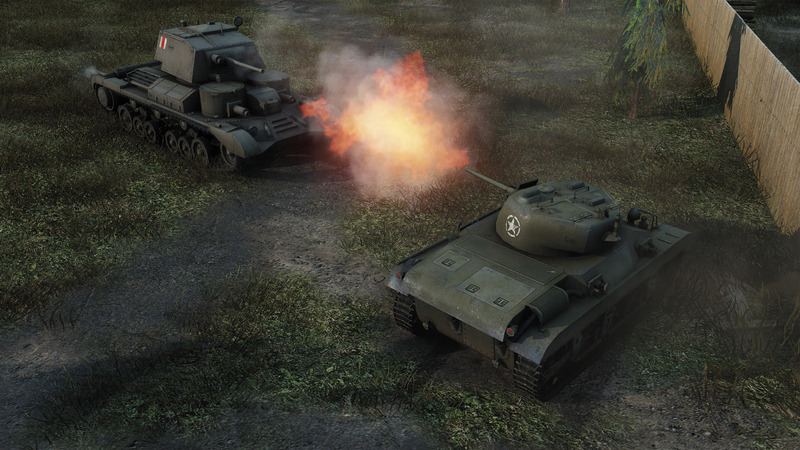 If you have additional advice for researching and using the specified tank in this article, we encourage you to join in on the discussion by leaving a comment below. The M22 Locust is a Tier 3 American light tank that boasts a swift top speed of 64 km/h. Its 37mm M6 gun also has decent penetration, which is an important factor when playing at lower tiers. This tank can be matched against players up to Tier 5, so having good penetration will increase your chances to inflict damage on opponents that have stronger armor. However, keep in mind that this tank has a limited shell supply, so don’t waste your shots or you’ll be out of ammo before you know it. Despite its speed, the M22 Locust doesn’t have great maneuverability. Don’t expect to make sharp turns or run circles around opponents, as this tank is not quite as nimble as other Tier 3 light tanks like the BT-7. As with many light tanks, the Locust's thin hull armor contributes to its fast speed, but also causes it to be more vulnerable on its sides and rear. Although the M22 Locust has good default camouflage values, it’s not a particularly great tank for active scouting, as its radio signal range is rather limited. If you wish to scout with this tank, you can improve and extend its view range with the Signal Boosting skill. You should still avoid being pushed up too far though, especially when facing higher-tiered opponents. Opt for a passive scouting approach in these situations. If you’ve got a more aggressive play style, use the Locust’s speed and penetration to your advantage by flanking opponents and shooting them in the weaker armor on their sides and rear. Try to track opponents whenever possible so that you can fire off a few more shots while they’re immobilized. Keep in mind that your side and rear hull armor is thin as well, so be sure to keep these areas of your tank protected behind proper cover. 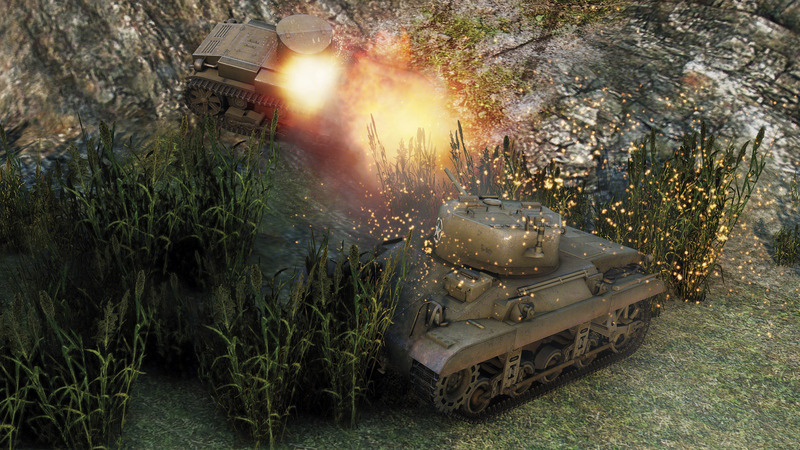 The M22 Locust can be a really fun tank to play for players who enjoy the speedy nature of light tanks. With the right skills and equipment, the Locust makes a decent passive scout vehicle as well. Consider purchasing this tank if you want to boost your credit earnings while moving up through the American tech tree. If you want to know more about this Premium light tank, we’ve also researched the history of the M22 Locust as well. Check out some of the other tanks featured in this series, including the speedy BT-7 light tank and the SU-76M tank destroyer in World of Tanks.